A major breakthrough has been made in the search for an effective way of treating Type 1 diabetes. That's according to researchers who believe that cell transplantation could be key to easing the symptoms of the condition. Specialist travel insurance is available for diabetes and other pre-existing medical conditions. But Professor Doug Melton, from Harvard University, hopes his research can further improve the quality of life for people with the disease. His study has successfully managed to create human insulin-producing beta cells, which work almost entirely in the same way as normally functioning beta cells. It is the first time this has been achieved in the kind of large numbers required for cell transplantation. Professor Melton says he hopes his research, currently being trialled in animal studies, including on non-human primates, will be reproduced in human trials in a few years' time. Beta cells implanted in mice have been safeguarded for months from immune attack by the device being used in the research. The results of the study have been labelled as "one of the most important advances to date in the stem cell field" by Rockefeller University's Professor Elaine Fuchs. :: The condition occurs in people who cannot produce insulin because the cells that supply it to their body have been destroyed. :: People who have Type 1 diabetes treat it by injecting themselves with insulin on a daily basis. They also need regular exercise and a healthy diet. :: Insulin enables glucose, which is in your blood, to give your body energy. :: Without insulin, your body's cells can't store glucose as fuel because they need insulin to open up and let it inside. 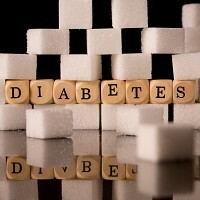 :: Not being able to use glucose for energy can be dangerous and lead to weight loss. :: We don't know exactly why insulin-producing cells have been destroyed in the bodies of people with Type 1 diabetes but one theory is that it's caused by a virus or infection. A report on the Harvard study is published in the journal Cell.